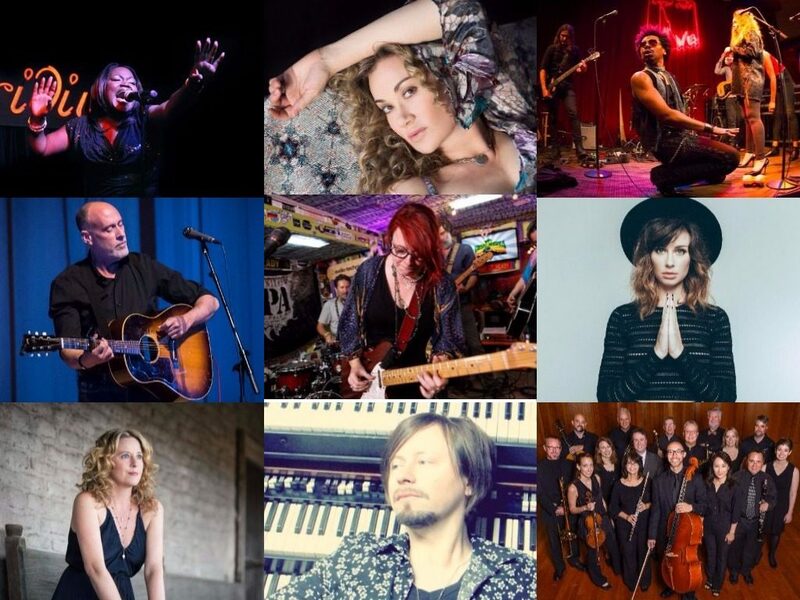 The line-up includes Grammy-winning artist Marc Cohn and our Saint Rose Camerata, a group of talented faculty marking 15 years of music together. The Massry Center for the Arts has announced its 2017-18 season. All performances, unless otherwise noted, begin at 8 p.m., with the box office opening at 7 p.m. and doors opening at 7:30 p.m. For tickets, call 518-337-4871 or visit www.massrycenter.org. The center is located at 1002 Madison Ave., Albany. Off-street parking is free for performances. Amy Helm, the daughter of musical icon Levon Helm, brings her commanding, deeply expressive voice and uncanny songwriting skills to the stage. Performs October 7. Tickets are $35. Marc Cohn won a Grammy for the ballad “Walking in Memphis,” and garnered praise from the great Bonnie Raitt. Performs October 14. Tickets are $50. Gedeon Luke & The People, draws on the gospel sounds of Al Green and rock ‘n’ roll passion of The Rolling Stones to put on a sensational performance. Performs October 28. Tickets are $35. Dana Fuchs played Sadie in the Beatles-inspired film, “Across the Universe.” Now, she entertains with a sultry voice and impactful songs. Performs December 2. Tickets are $35. Shemekia Copeland combines blues, gospel, country, and R&B for an unforgettable musical performance. Performs December 16. Tickets are $35. Carolyn Wonderland is a true legend of her time, combining the soulful vocals of Janis with the guitar skills of Stevie Ray. Performs January 13. Tickets are $25. Lera Lynn was featured on “The Late Show with David Letterman” and the HBO hit “True Detective.” Her left-of-center rock and experimental pop-noire music is unique and refreshing. Performs February 2. Tickets are $35. Lachy Doley was dubbed the Jimi Hendrix of the Hammond Organ and is Australia’s most celebrated blues soul rock organ player today. Performs March 3. Tickets are $35. The Saint Rose Camerata, founded and led by flutist and Saint Rose professor of music Dr. Yvonne Chavez Hansbrough, showcases the talents of the Saint Rose music faculty. Performances are at 7:30 p.m. All performances are free and open to the public. October 21: The Camerata kicks off its 15th season with “Vox Balaenae” by George Crumb and “Saints Without Tears” by Libby Larsen. November 11: The Saint Rose Camerata presents Baroque, classical and 20th-century chamber music featuring wind, string and piano performances. February 17: The Camerata showcases music by Schubert and Beethoven.